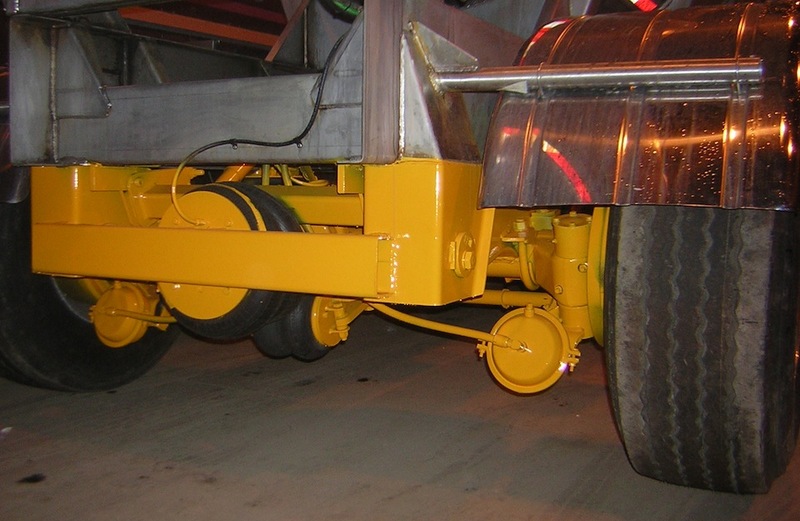 With the price of new trailers taken into consideration, it has become very economical to convert trailers with older axle configurations to the new Ontario “SPIF” Regulations. There are many things to consider when contemplating this procedure, most importantly, overall tank condition. 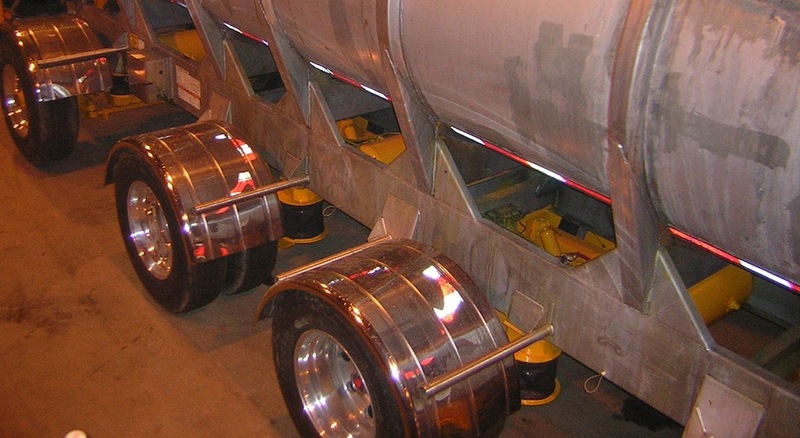 With impending weight restrictions on older axle configurations, converting these trailers to conform to the new regulations, allows carriers to transport cargo at the maximum weight allowances which on a cost to transport basis, maximizes efficiency and profitability. When this unit arrived it had spoke wheels, carbon steel frame, tandem rear axles and spring suspension with dual forward lift axles, insulation with a stainless jacket and an older style bumper and older style lights. The trailer came into the shop where it was stripped down to the rings and barrel. New side supports were fabricated and welded in place in preparation for the stainless steel frame and sub frame. 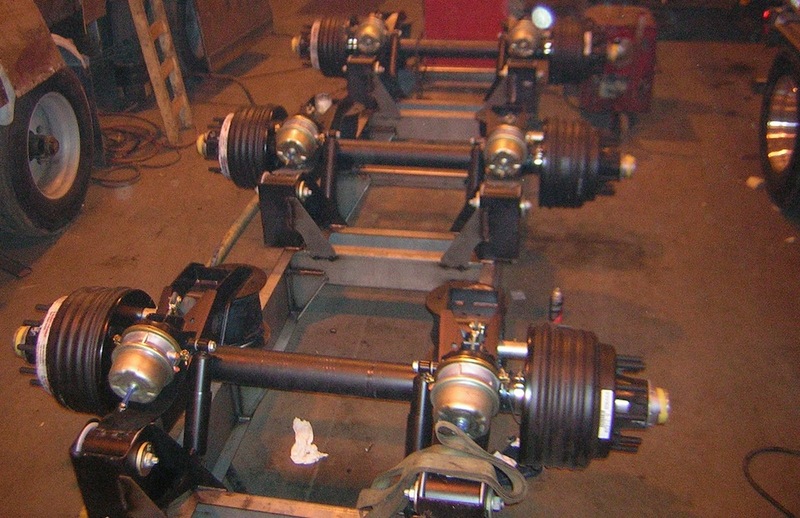 In the mean time, technical drawings and blueprints were sent to our Engineer on staff, to work out the axle locations relative to the barrel, for the trailer to load equalize. Once ascertained, construction begins on the bogie. 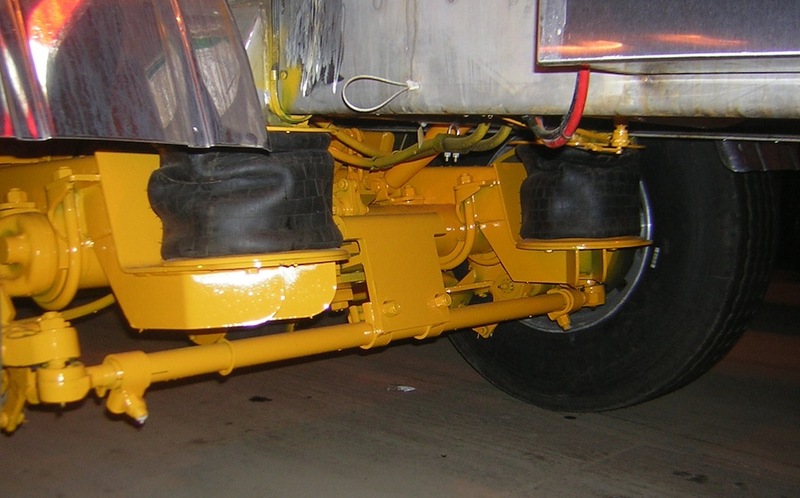 For ease of construction, the stainless steel bogie is build upside down and on the floor and receives three Hendrickson Intraax Axles and is set up for an Air Ride suspension. 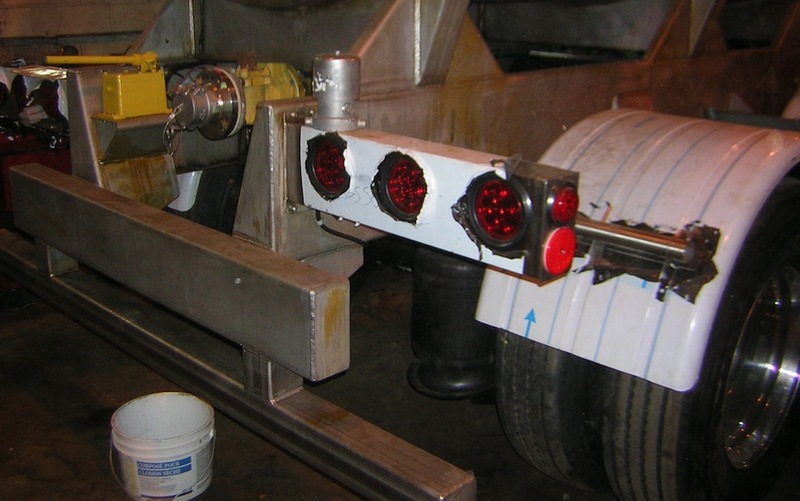 Once the bogie is assembled, it is married to the side supports with a stainless steel weld.As you can see in the above picture there are new stainless light boxes, LED lights, aluminum wheels, stainless fenders, new air tanks and stainless steel bumper. 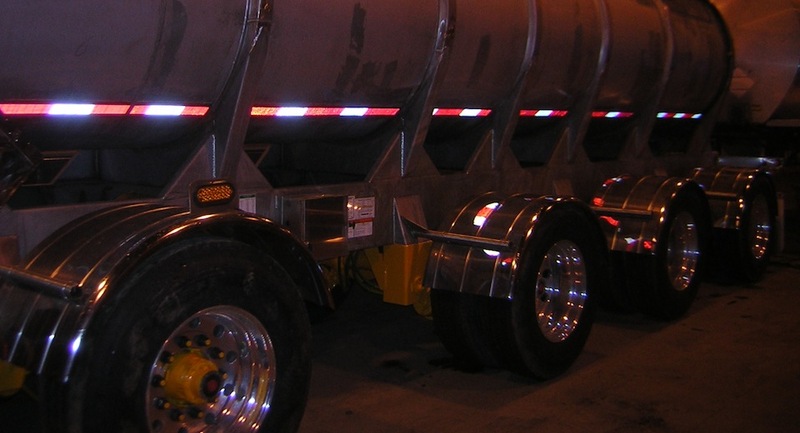 The IMT Ingersoll Steerable Lift axle is also mounted with aluminum wheels and Super Single tires. Once the build process is complete, the trailer is ready for initial testing to make certain everything functions correctly. 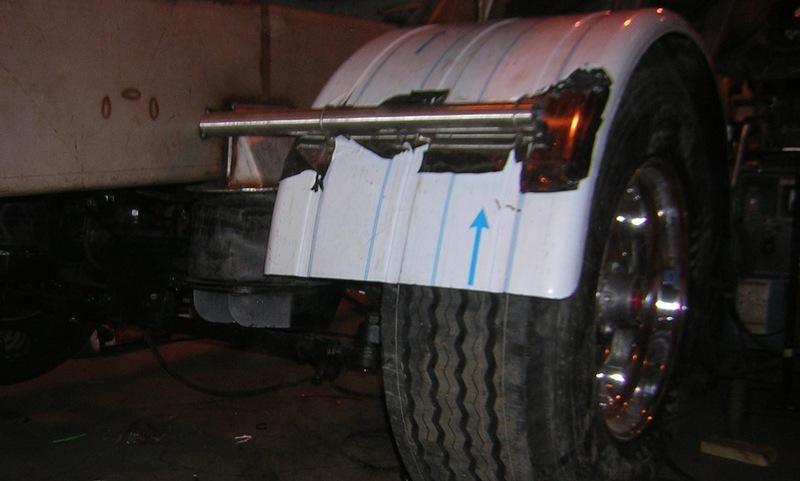 This trailer did not require insulation or jacket material for the product it will be hauling and it was requested not to have it on completion. The above picture shows the conspicuity tape applied and the steel suspension components painted in company colors. With the job complete, this trailer has virtually become a new unit and now conforms to all the SPIF regulations that apply to this new configuration.